A little while ago I set a writespiration challenge to write for 60 seconds, using the word silence as your inspiration. It was so successful I thought I would re run it. Like last time don’t look at the word till you’re ready to write. 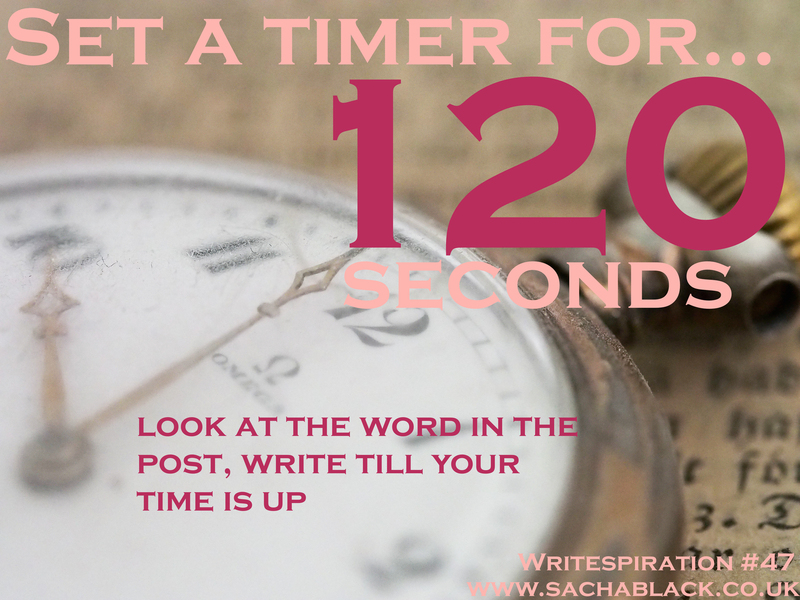 Write till the time is up and share wherever it took you in the comments. Ready? Sorry for the delay – I am a terrible blogger! struggled to keep up this week. um… is this true?! I hope you wear extra strong anti-persperant! The flies are on me! Sorry its taken me an age to get back to you – been a rubbish blogger this week. oooooooh you are feeling dark! I LOVE it. I had a couple of dark weeks too recently. Produced some strange stuff to say the least! I love this though… screams full length story…. Ooh let me know if you do write the full story. I’ve had a few flashes inspire me to carry the story on but haven’t had time so far. Hahaha u have to write the penguin story my wife would love it. Thanks Sacha, yes, I should be fighting fit by August 1st and the bloggers bash! Sweat? Why do I think of Rugby Players when I hear that word other than the awful substance which glows out of my body as soon as the temperature soars over 25C? Now I don’t mind rugby players and heat, but humidity and oppressive days can go and do a runner for all I care. They are unwelcome and not wanted by most of the population. As for sweat – stop damaging the underarms of my clothes, you beast!